B-1 Lancer The B-1B Lancer is a long-range, multi-mission, supersonic conventional bomber, which has served the United States Air Force since 1985. The aircraft is on track to continue flying, at current demanding operations tempo, out to 2040 and beyond, and Boeing partners with the Air Force to keep the B-1 mission ready. Originally designed for nuclear capabilities, the B-1 switched to an exclusively conventional combat role in the mid-1990s. 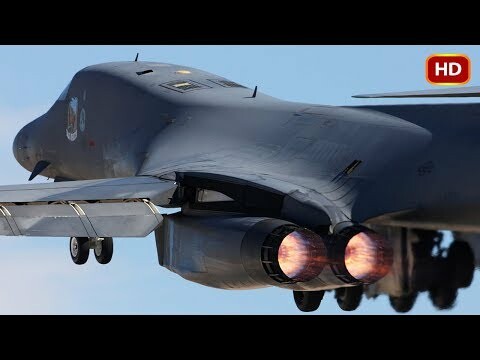 In 1999, during Operation Allied Force, six B-1s flew 2 percent of the strike missions, yet dropped 20 percent of the ordnance, and during Operation Enduring Freedom the B-1 flew on 2 percent of the sorties while dropping over 40 percent of the precision weapons. The B-1 has been nearly continuously deployed in combat operations over Afghanistan and Iraq since 2001. B-2 spirit The Northrop B-2 Spirit, also known as the Stealth Bomber, is an American heavy penetration strategic bomber, featuring low observable stealth technology designed for penetrating dense anti-aircraft .